You can do more than just wash and dry your clothes at today’s laundromat. The coin-operated laundry is becoming a multiservice center that customers actually enjoy visiting. Many laundromats now offer additional services to customers such as snack bars, mini-marts, video games, mailbox rental and free internet. This not only attractive to the customer, it helps businesses owners make a profit. The coin-operated laundry industry is changing in order to meet the demands of its busy customers. Smart laundromat owners now have a lot more on offer to help their patrons maximize the time spent whilst waiting for their socks to dry. Offering additional services also creates more revenue streams. Utilizing your space to its fullest potential is one way to help pay the rent and generate more money per square foot. Additional services like wash-and-fold and dry cleaning allow customers the convenience of dropping off their laundry rather than doing it themselves. According to a survey from the Coin Laundry Association, more than half of coin laundries offer wash-and-fold. This service offering could appeal to the growing number of working parents who don’t have time to do all of the laundry a family generates. Laundromats are no longer dingy, boring places. Business owners are recognizing that customers prefer to spend their time in pleasant atmospheres. They are cleaning up their act and creating bright, fun spaces that the whole family can enjoy. Some laundromats now offer kids’ centers, music concerts, free coffee and have staff who are friendly and helpful. Laundromats are no longer just for people who don’t have washers and dryers at home and many are tapping into higher-income markets. Since most home models are regular capacity, it can take a lot of time to do load after load of laundry for a family. Some people would prefer to run to the laundromat and do everything at once. Having larger machines that can accommodate bigger items like comforters and blankets is also a draw. The rise in the cost of utility bills is also a factor in more people using laundromats even though they have working machines at home. Continuing with the convenience factor, newer laundromats are doing away with coins and replacing them with swipe cards that customers can top-up. The cost of the wash or dry is then subtracted from the balance. 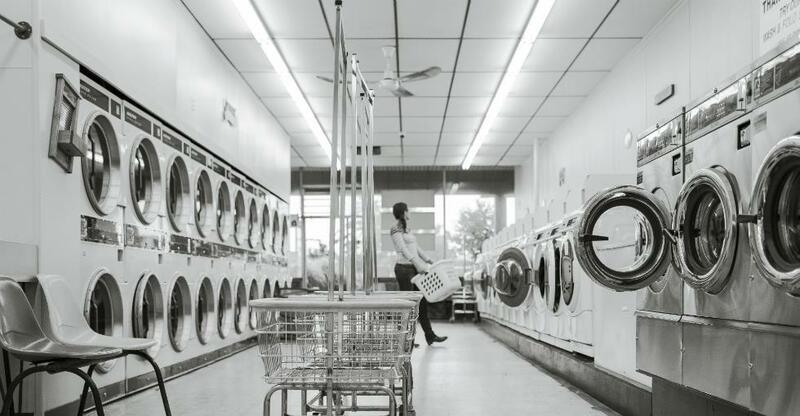 As consumers seek out convenience and comfort in their laundromats, business owners have a unique opportunity to expand their services and offerings to accommodate today’s busy customer. Doing your laundry may not necessarily be fun, but it can be made more functional – and a lot more comfortable. Ready to sell your business? Sign up for a limited free trial on BusinessesForSale.com, sell your business and realise your wealth.